Ten new projects across the UK have received between £40,000 and £150,000 of National Lottery funding each, to explore how disabled people can live as full citizens in our society and what changes and support will make that happen in practice. Over £1.15 million worth of funding has been granted as part of the DRILL (Disability Research on Independent Living and Learning) programme, a £5 million scheme led by disabled people and funded by the Big Lottery Fund, the largest funder of community activity in the UK. Each research or pilot project will be led by disabled people or people with long term health conditions; they will be developing approaches and questions, working alongside academics and policy makers. Disabled people who often struggle to have their voices heard will be shaping research – such as people living with dementia, learning disabilities and mental health issues. Launched in 2015, the DRILL programme is fully funded by National Lottery funding through the Big Lottery Fund and delivered by Disability Rights UK, Disability Action Northern Ireland, Inclusion Scotland and Disability Wales. 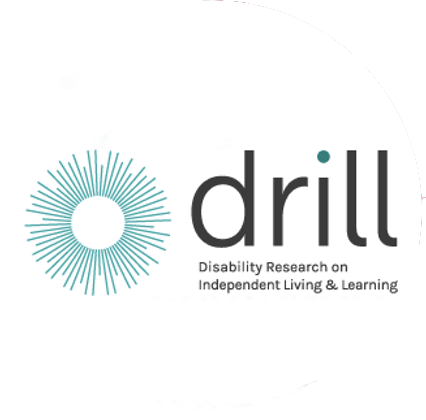 DRILL is funding more than 30 research and pilot projects over a five-year period, all led by disabled people. Being involved in a project like DRILL is both exhilarating and frustrating in almost equal measure. Recently the exhilaration has been at the forefront, partly because this month we move another step down the road by announcing over £1 million for another ten research and pilot projects across the UK which will help support disabled people to live independently. The frustration is inevitable when you look at the environment organisations like ours (Disability Rights UK, Disability Wales, Inclusion Scotland and Disability Action Northern Ireland) operate in. Disabled people’s organisations struggling to stay afloat, disabled people battling for benefits and services and a new secretary of state with a questionable track record when it comes to disability rights. Part of my frustration comes from us having to decide which great projects don’t get the funding from DRILL they applied for – and it’s safe to say that frustration was shared by the group of disabled experts who made the final funding decisions. We needed a mix of projects which offered up a decent cross-section of geography, impairments and subject areas, and that meant that some really fantastic ideas didn’t make it over the finish line. We are sad about that and hope that some of those may find funding streams from other sources. On the flip side, it’s exhilarating to look at the depth and richness of the projects which have been successful in their applications. People have come to the DRILL project armed with passion and experience and commitment and creativity. From researching accessible toilets (Scotland) to finding ways for self advocates to earn money (Wales) through to getting better access to the justice system for deaf people (Northern Ireland) and finding out why we don’t have more disabled foster carers when the fostering system has a huge gap to fill (England); and that’s just four of the ten successful that will get underway this year. If you want to find out more about the projects DRILL is funding, do go to the project page, which has all the details. The £1 million or so for these new projects also marks a change in emphasis for DRILL. Up to now, much of the focus for us has been on scrutinising projects and working with organisations to help them develop their funding bids. In 2018, our focus moves to the myriad of projects and research which are underway. We’ll see some of our early projects finish and produce resources and findings which will help support disabled people to be more independent. We’ll also see some interim results from other projects which will help us build our knowledge and understanding of the barriers disabled people face and how they can be challenged. There are exciting times ahead! ‘So, why do you want to research into the barriers to independence faced by disabled Asian women, surely everyone knows what the barriers are?’ Well, on an anecdotal basis and having lived the issue for some 25 years we can understand why the question might be asked. Triple disadvantage: disability, a BME group, being women – possibly a fourth, stigma/discrimination within their communities both as women and specifically as disabled women. One problem however, we didn’t think anyone had actually asked disabled Asian women, hence the project name: Humare Avaaz – our voice. Our desk research has shown this to be so. This finding poses a possibly worrying question. Has policy on and support for disabled Asian women been based on conjecture and assumption, e.g. that disabled Asian women benefit more than women from other communities from a close knit and extensive family support network such that culturally sensitive social care support is not required? Does support take account of the diversity among Asian communities? Indeed, previous funded community research of ours indicates that extremely poor wellbeing/health can be the result of exploitative support expectations of ‘hidden carers’, i.e. the so-called network has caused a form of disability. On to the next possibly contentious point. We run a day care and development centre. We accept that ‘day care’ is anathema to the social model but we are pragmatists. If a fully functional family support network was there perhaps we wouldn’t exist. In our experience, while such support networks may exist they operate at a social level and cannot meet more complex and formal needs. So, what does the social model mean to our clients? Does the social model and political objectives within the disability movement have any relevance to our project and research subjects? They certainly do for the project team because we understand the context, it’s our job to. But this is co-produced research; what do our co-researchers and research subjects think. The answer is ‘not a lot’. In fact, the very concept of independence is novel for most, even having discounted those whose intellectual impairments, limited education or widely ranging social factors prevent them fully considering the concept. Each focus group has presented the same issue; how to research into barriers when ‘Barriers to what?’ requires extensive explanation and discussion. Some, of course, are ‘politically’ aware but most have lived a life of systemic dependency with a voice that has never been heard. Independence in terms of being able to go shopping, do the housework, get married is perhaps not what we expected to hear but it‘s what we’ve often heard. What has politics got to do with such issues? Is there a disconnect between some disability lobbyists and the views of at least some disabled people? Our role is to present what our research subjects tell us, not to be a proxy for them or lobbyists within the disability rights movement. It’s important that what we might wish to lobby for in other circumstances does not influence our co-research or influence the conclusions that we and our co-researchers draw from its findings.